Striking handbag for everyday use. 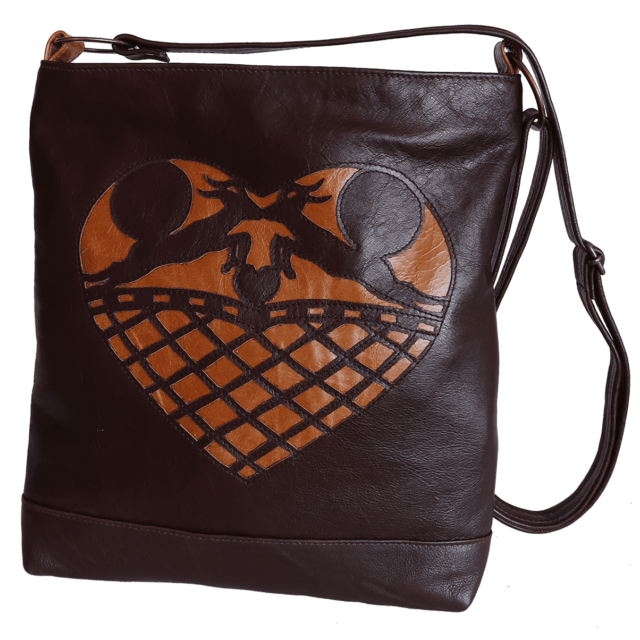 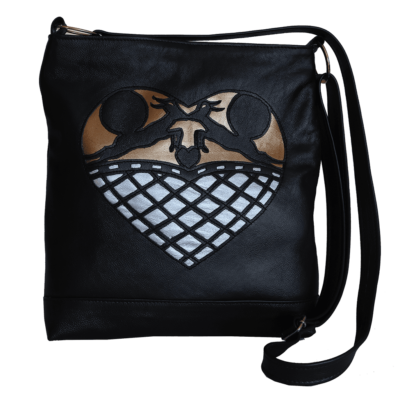 Genuine leather handbag, with laser cut detailing. 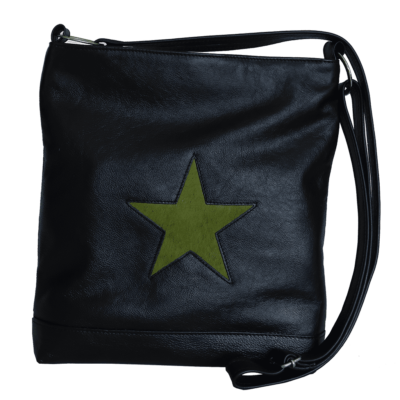 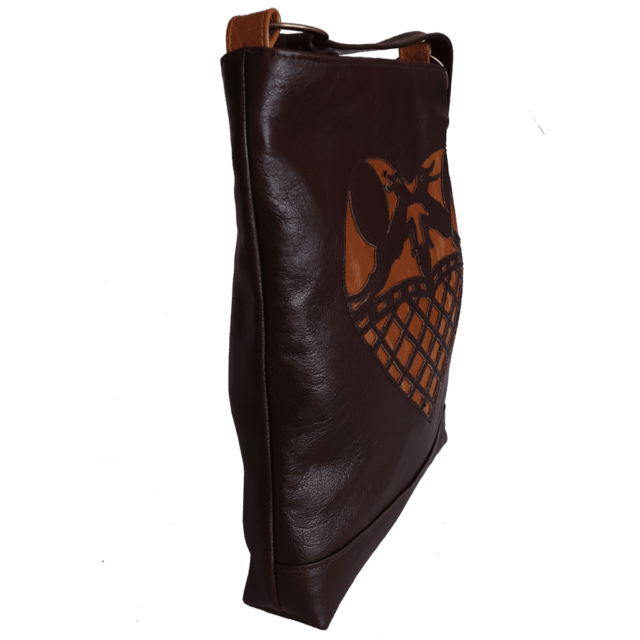 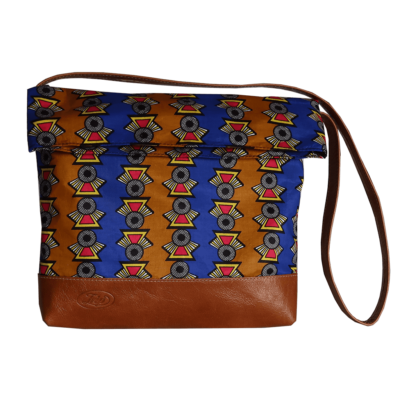 With an adjustable shoulder strap, and zip closure. 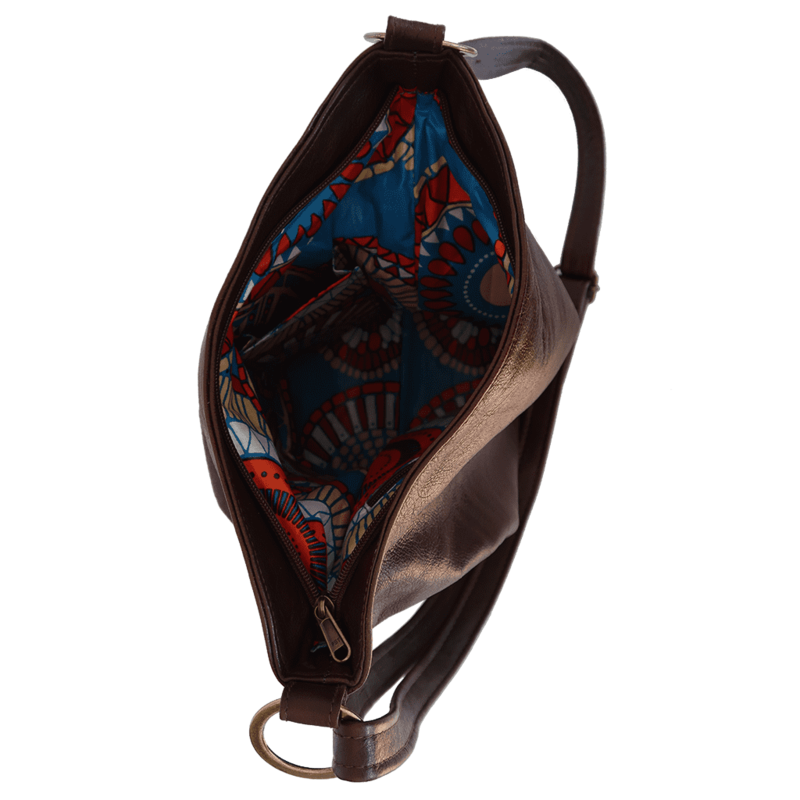 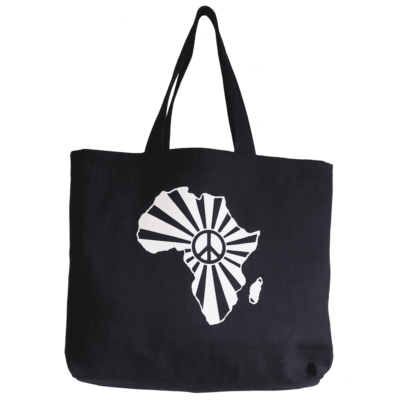 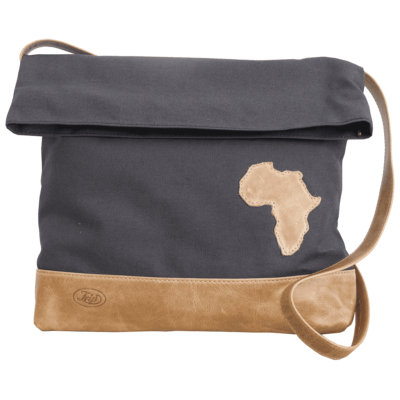 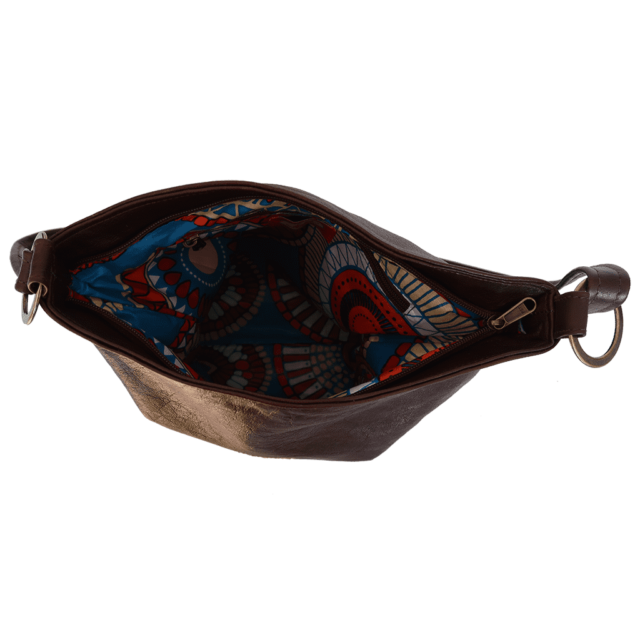 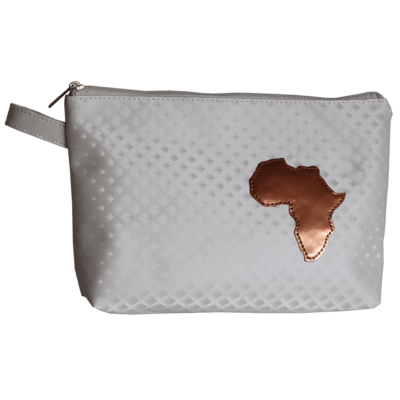 Lined in African print lining, with inner zip pocket and cellphone pouch.